These are really cool concept/designs and I really enjoy the style and color palettes! 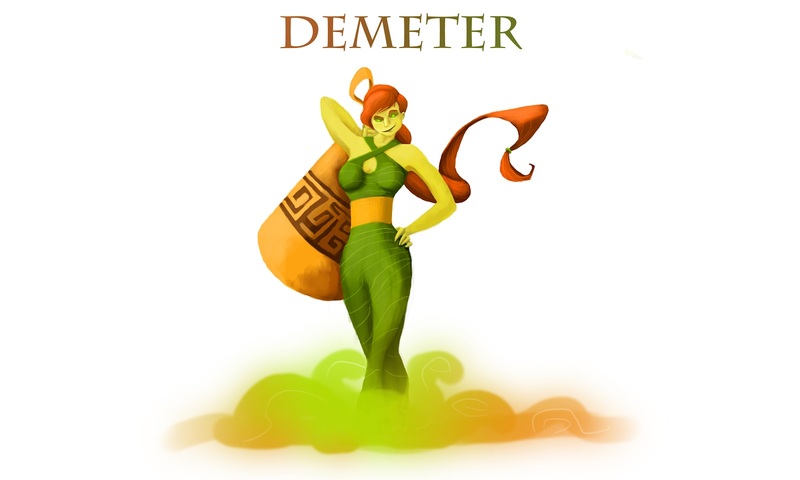 Though I notice something abut the anatomy, on Demeter: her leg doesn't really seem like it has a knee, and that with her right arm raised her right breast should also be raised! Maybe try a little less round too, and that there should be a v-ish crease between her legs. 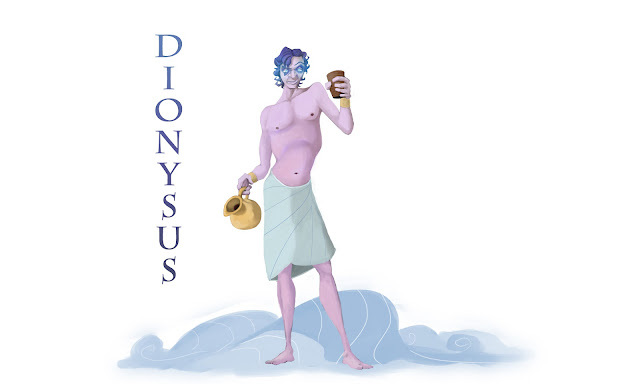 I like how Dionysus his left pectoral is lifted with his arm, and I also enjoy the overall weight you gave him on one leg, very expressive. :D Keep up the good work! A little scene from vacation.